One of the big mysteries in cosmology is how supermassive black holes formed in the centers of galaxies. 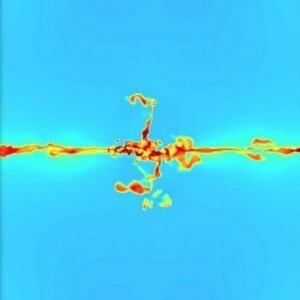 Did they form directly from large concentrations of matter and dark matter, or did they form when early stars collided and accreted into massive black holes? Another idea is that they may have formed from the collapse of supermassive stars. In this idea stars with masses of 10,000 Suns or more could have lived short, violent lives before their core collapsed into a massive black hole. It’s an interesting idea, but new research shows that such supermassive stars might have a different fate. This new research has been published in the Astrophysical Journal, and it looks at computer simulations of early supermassive stars. 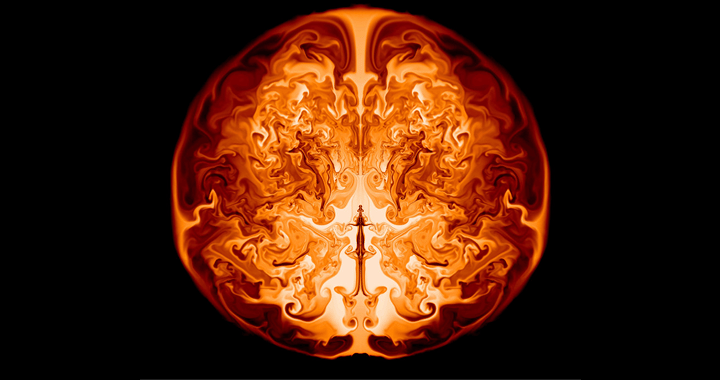 The team ran simulations of primordial (population III) stars with masses around 55,000 solar masses. At this scale, a simple hydrodynamic model doesn’t work. You need to account for the effects of general relativity as well as things like photodissociation, where the intense light of a star can break apart the nuclei of atoms. The team found that such stars can only survive for about 1.7 million years before becoming unstable. This isn’t too surprising, but what is surprising is that for stars around this mass instead of dying as a core-collapse supernova, which would produce a massive black hole, instabilities cause the star to rip apart completely, leaving no remnant core. What’s more, a good fraction of the star’s mass has been fused into “metals” or elements beyond hydrogen and helium. As a result, such stars could provide a mechanism for the early enrichment of heavy elements in the universe. The authors go on to point out that such a stellar explosion might be observable in the distant universe. If such stellar explosions occurred, they would be seen in the near infrared, looking similar to supernovae with high redshift (around z = 20). But because of the intense mixing of elements in the star, the explosion would look distinctly different from usual supernovae. Right now we don’t have the ability to observe such explosions, but future missions such as the Euclid infrared telescope (scheduled to be launched in 2020) might be capable. So we haven’t solved the mystery of supermassive black holes, but we may have discovered a new way for early stars to seed the universe with heavy elements. The Eddington limit was derived for stable, main-sequence stars. These super-large stars would never quite reach equilibrium. What about the Eddington limit? The Eddington limit is for main-sequence stars, that can remain stable over billions of years. These stars don’t last that long. I have always believed that three galaxies colliding together created a super massive black hole, and thus creating a new universe to be born. Do you feel that my theory could be true?